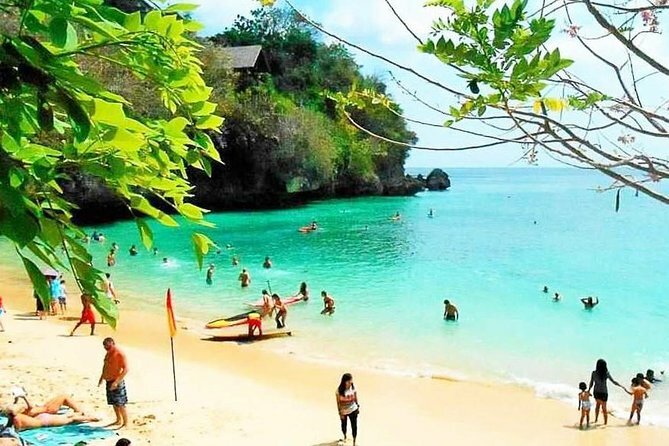 Bali Beach Hopping Tours is Discover Bali’s white sand beaches, majestic temples,to enjoy having sun bath along the white sand beach on this 8-hour private tour. Swim in the warm waters of Nusa Dua Beach, Gerger beach swimming and relaxing,join the surfers at Padang Padang Beach, then watch the sunset and enjoy a spectacular Kecak fire dance show at Uluwatu Temple. Our professional Bali Tours Driver is always outstanding offer our best services to keep your convenience trip along with private full air-conditioning car transfer to complete your enjoyable on Bali Beach Hopping Tour.